The geometry of Odyssey’s educational experience is based on the interweaving of the physical, emotional, mental, moral, aesthetic, and spiritual aspects of the individual. The aesthetic strand nourishes a continuous program from preschool through high school which cultivates the imagination and develops aesthetic literacy. The emotional strand assists the child in understanding and communicating in the world of feelings. 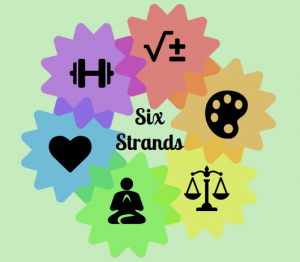 The mental strand attends to the skills and knowledge that are useful to the student as a lifelong learner. The moral/social strand supports ecological thinking about the connections within all creation. The physical strand nurtures the development and the care and respect of the physical body— as well as attends to the biology of learning. The spiritual strand supports the child’s recognition and communication of his or her own truth, the ability to live from the heart, and the exercising of her or his faculty of creative imagination. 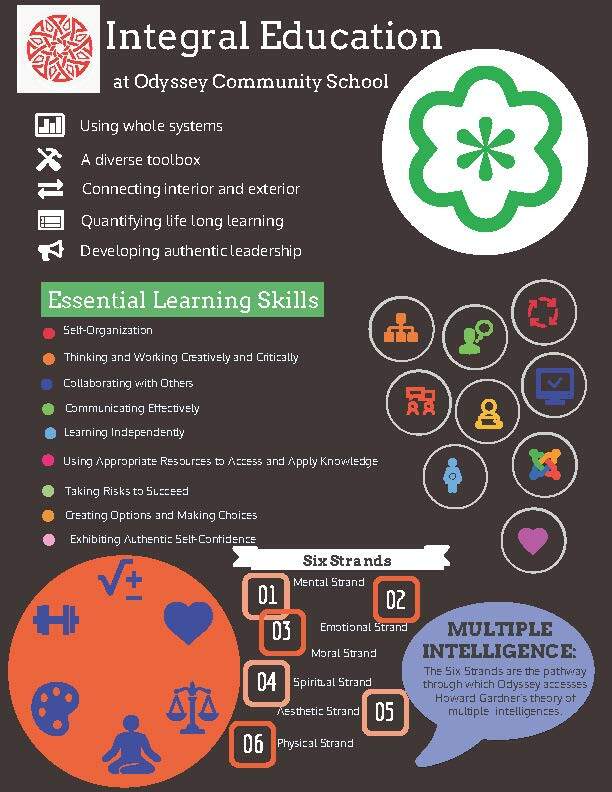 At Odyssey, we recognize nine important skills for understanding, mastery and success in lifelong learning. They are: self-organization; thinking and working creatively and critically; collaborating with others; communicating effectively; learning independently; using appropriate resources to access and apply knowledge; taking risks to succeed; creating options and making choices; and exhibiting authentic self-confidence.